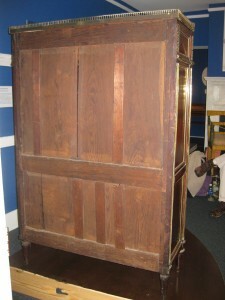 Dimensions: 57.6 inches in height, 38 inches in width, and 15 inches in depth. 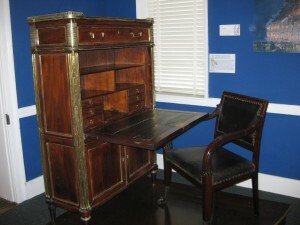 Descriptions: This is a mahogany desk in the late Louis XVI-style. The top of the desk is marble, surrounded by a pierced brass gallery. The four corners of the desk have fluted columns, fitted with brass inserts. 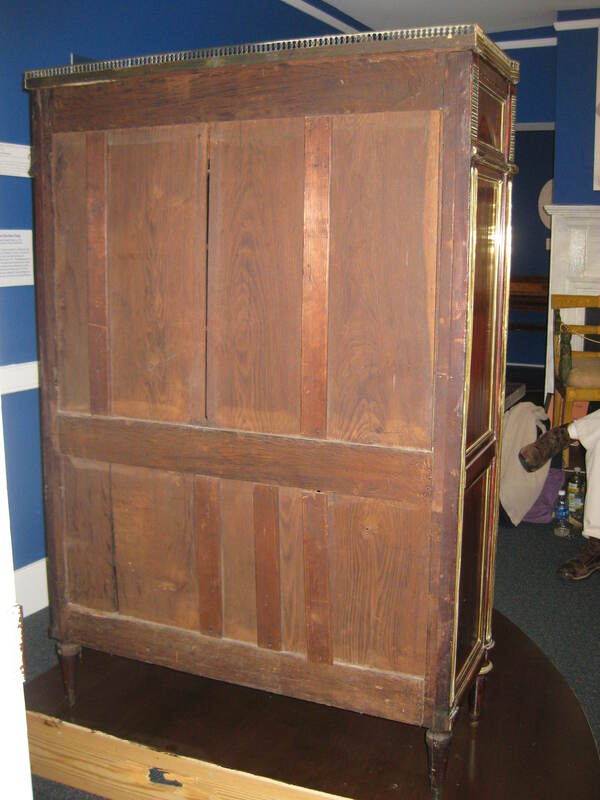 The mahogany veneered fall-front of the desk serves as the writing surface when laid flat, which also reveals one large shelf over two smaller shelves. Tucked within this space are three small drawers on either side of the cubicle. The floor of the cubicle can be removed to reveal a secret compartment. 3-D Scanning Process: The Monroe Desk was scanned using the Kinect scanner with the Skanect software. Due to the limitations of the Kinect technology and the space provided, we were only able to get partial scans of this object. While we could not get complete scans of the desk, our partial scans still provide a useful sense of the object’s dimensions. For the complete collection of scans of the Monroe Desk, click here.